Ireland international Aoife McDermott had just arrived home from training with Railway Union RFC on Tuesday night when she saw the news. Her club were preparing to play Belvedere in the semi-finals of the Women's AIL this weekend. But they're also in another battle off the pitch. For four years Railway Union, a junior club, has been fighting to be recognised as a senior club by the Leinster branch of the IRFU. The women's team play in the AIL, and if they were men, they would be recognised as a senior club and granted a place on the Leinster executive committee. But they're not men, they're women. When McDermott saw the press release from Leinster rugby she was "shocked". "I couldn't believe that it had happened. We've been fighting this and hoping that Leinster would finally see sense and treat us as equals. But that hasn't happened," she said. 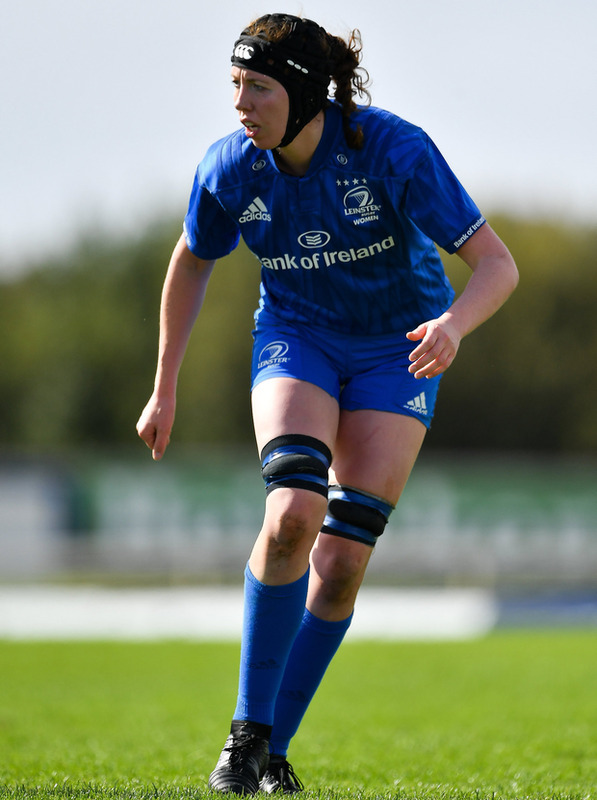 "I play international rugby, I'm vice-captain of the Leinster women's team. I play in the AIL. And they just don't see me as a senior player". This all started on September 1, 2015 when Shirley Corcoran, chair of Railway Union RFC executive committee, wrote a letter to Stuart Bayley, honorary secretary of the Leinster Branch, to "confirm upgrading by the executive committee of Railway Union as a 'senior club' under By-Law 7.1". By-law 7.1 of the Leinster branch states: "A senior club is a club participating in the AIL or in any competition which is the direct successor of the AIL under the auspices of the Union." That looks straight-forward enough, doesn't it? Think again. On October 15, 2015, Bayley sent a letter in response to Railway Union which included these lines: "The Leinster by-laws in the Definitions Section 2(a) define the AIL as 'the All Ireland League'. It does not say 'any All Ireland League'." The letter added: "The competition known as the Women's All Ireland League is not the AIL nor a successor of it. Therefore By-law 7.1 does not apply to the Women's All Ireland League, and Railway Union are not entitled to be treated as or graded as a senior club. "By-law 15.4.4 (d) also authorises the executive committee 'to interpret the by-laws of the branch'." On August 19, 2016, Railway Union sent a letter in reply, which stated: "We do not agree with the executive committee's interpretation of the by-laws and we do not believe that it is right that the executive committee of a branch of our governing body can discriminate based on gender". On October 4, Bayley responded in writing that they had also taken legal advice to back up their interpretation and added that "the Leinster Branch does not or would not make decisions based on gender discrimination". Between September 2015 and September 2017 there were 22 occasions when contact was made between Railway Union and the Leinster branch, including meeting and letters. Last year at the Leinster AGM an independent working group (comprising three people including barrister Moira Flahive) was appointed to "undertake a comprehensive review of the Branch Bye-Laws to determine if they were appropriately inclusive". Which brings us to this week and Tuesday evening when the results of this working group were published. The terms of reference were set by a representative from Beauchamps Solicitors, who are also Leinster's legal advisors. A key part of this review was a questionnaire sent to all clubs in the Leinster branch and other stakeholders. Under the heading 'Governance and By-laws', question 3 asked: "Does By-law 7.1 adequately reflect the qualifications required for senior club status?" The result published shows this was supported by 72pc. But what was the sample size? Out of a possible 213 who received the questionnaire, it is my understanding that only 19 responded, one was rejected. So 18 was the sample size. But that's not the main issue. There was never any problem with the wording of By-law 7.1. "Our argument with Leinster is their interpretation of the by-law," Corcoran said this week. "They put the questionnaire in such a way that they asked if anybody believed that the way the by-law was written was incorrect. Nobody has ever - ourselves included - commented that the by-law is wrong. But it's the interpretation." On April 4, 2017, Leinster Rugby president Frank Doherty wrote a letter to members of the executive committee of the Leinster Branch, saying "we could not recommend an interpretation that is contrary to our (legal) advice and to the original intent and spirit of the by-law". There we have it. Even though their own laws state they have the authority to "interpret the by-laws", they choose to hide behind legal advice and the "original intent and spirit of the by-law". What kind of spirit is this? The spirit of inclusivity? The spirit of equality? What kind of disconnect is going on? "We're refusing to back down on this because this has absolutely become a gender equality issue," Corcoran added. "Is this absolute discrimination?" I asked. "In my eyes? Absolutely," Corcoran added. "What else are we being judged on? We're playing in the All Ireland League - their literal interpretation is that we are not playing in 'the' All Ireland league." In a statement yesterday, Leinster Rugby said their "ambition is to achieve the objectives of the Sport Ireland Women in Sport policy and to align with the IRFU'S Women in Rugby Action Plan". A new 'inclusivity committee' will start with Flahive added to the 39 (otherwise all-male) executive committee and the management one. The IRFU's Women in Rugby Action Plan states they will support leaders by "ensuring that the IRFU's values relating to inclusion are fully observed in all IRFU and Branch committees". How exactly does this tally with an archaic by-law in Leinster that doesn't allow a women's team who play in the AIL the same status as a men's team? So this is a message to those with power in rugby boardrooms. Stop shifting the goal-posts for women. Stop thinking we don't see through shiny manifestos if they're not backed up by real action to change the way the game is governed for women. Time's up with all that guff. Garryowen got their hands on the Bateman Cup for the first time since 2012, as brothers Neil and Liam Cronin combined for three tries in their 45-21 win over first-time finalists City of Armagh at Templeville Road. Fraser McMullen Dublin University U-20s produced a spectacular performance at Naas RFC on Saturday evening to defeat UCC 41-24 and secure back-to-back titles. Ben Coles Next month will mark 10 years since London Irish lost their only Premiership final, by a point against Leicester Tigers.